Brand new TRP eCatalogue 17 languages and 70000 parts - DAF Trucks N.V.
DAF Trucks and PACCAR Parts present the brand-new ‘TRP eCatalogue’. 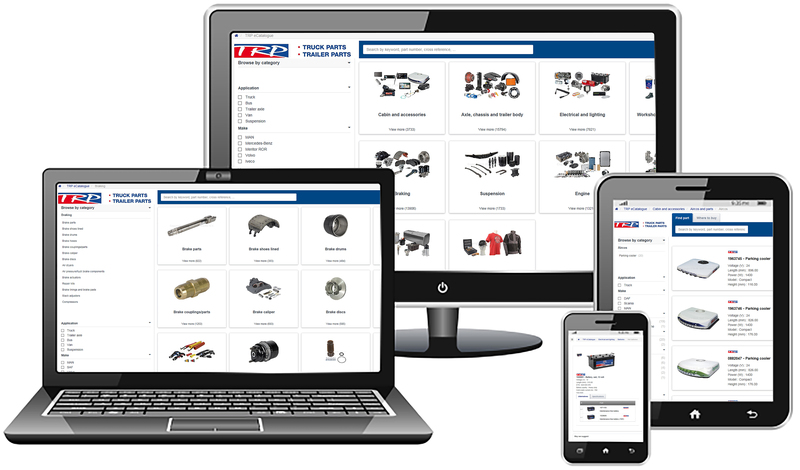 As well as carrying a total of more than 70,000 parts for all makes of trucks and trailers, the online catalogue is now also available in no fewer than 17 languages. The TRP eCatalogue can be found at www.trpparts.com. Since TRP was launched in 1994, PACCAR Parts’ product range has grown rapidly. What began with around 300 parts is now the leading and most professional offering of parts for all makes of trucks and trailers. "With the new catalogue, we have taken a huge step forward to offer customers first class service. For example, in the TRP eCatalogue there are more images and clearer descriptions of the parts", says Bram Vermolen, PACCAR Parts Manager Marketing Operations. "We understand that customers want to order the correct part with only a couple of clicks of their mouse. If they prefer, they can also use the item name, an original equipment part number or the supplier’s item number to find the correct part in no time. The TRP eCatalogue also displays alternatives and related products needed for a repair, which also adds to quality, efficiency and vehicle uptime." The new TRP eCatalogue is available in no fewer than 17 languages. "Even Chinese and Arabic", says Vermolen. The TRP eCatalogue is optimised for all web browsers and can be used on both desktop and mobile devices such as a tablet or even smartphone. 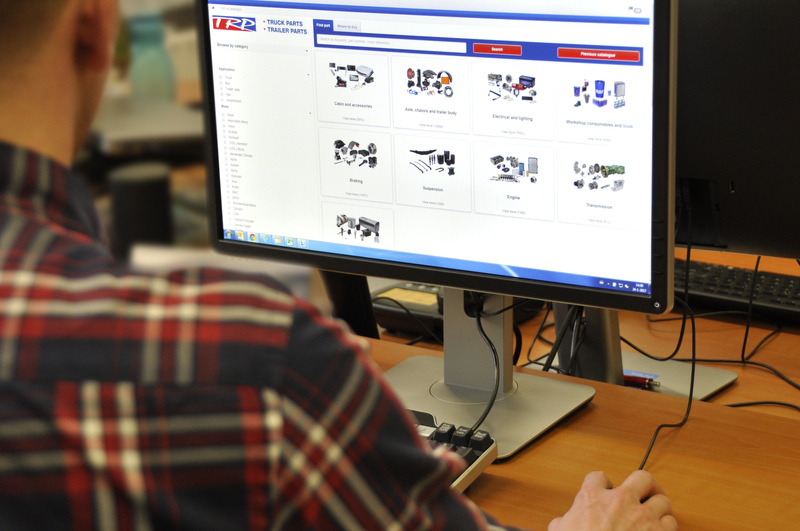 TRP parts can be purchased from the network of more than 1,000 DAF dealers, from the TRP Stores and via the online webshop.